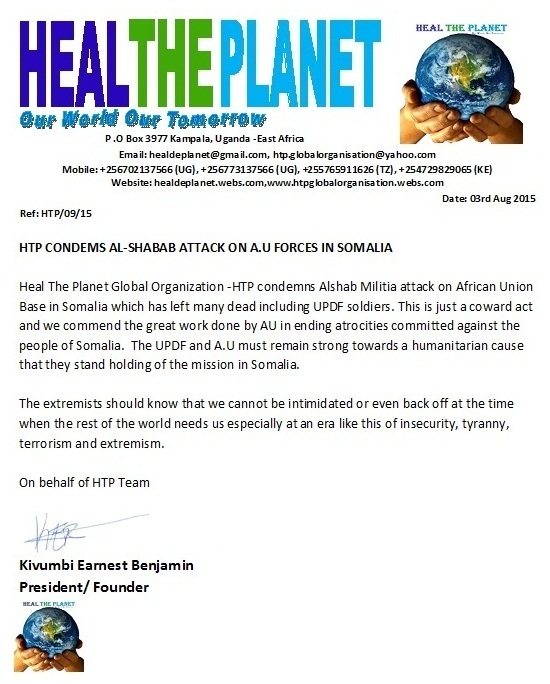 Heal The Planet Global Organization -HTP condemns Alshab Militia attack on African Union Base in Somalia which has left many dead including UPDF soldiers. This is just a coward act and we commend the great work done by AU in ending atrocities committed against the people of Somalia. 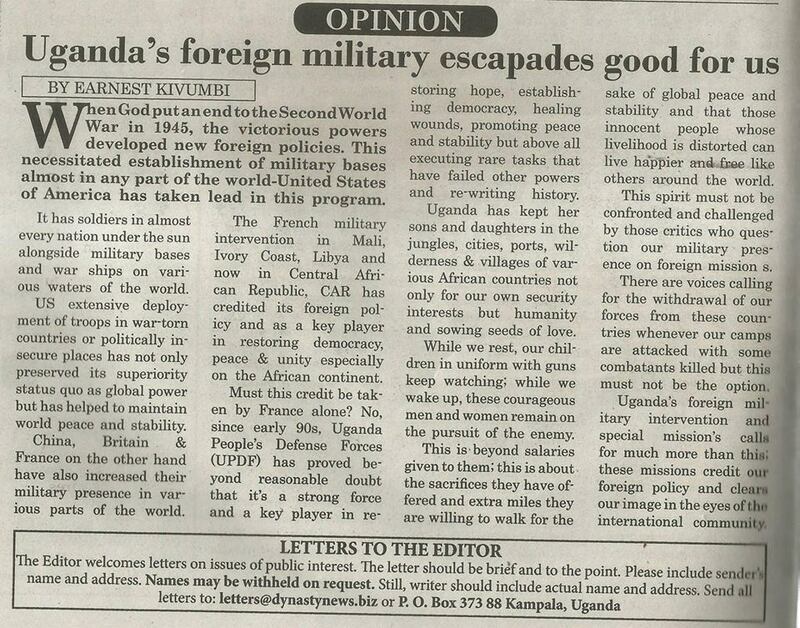 The UPDF and A.U must remain strong towards a humanitarian cause that they stand holding of the mission in Somalia. The extremists should know that we cannot be intimidated or even back off at the time when the rest of the world needs us especially at an era like this of insecurity, tyranny, terrorism and extremism.